Gambling in Albania is legal in practically all forms, despite the fact that Islam (forbidding all gambling) is the largest religion in the country. Online casino gambling, sports betting and Bingo halls are regulated by the Gambling Monitoring Unit, while the national lottery and offline casinos are under the authority of the Ministry of Finance. Both online and offline gambling facilities must apply for a licence and adhere to regulations in order to provide gambling services in Albania. The regulation of gambling includes not only games of luck, but also games of skill (such as poker) and social games. Gambling in Albania was outlawed during the communist era, but has been showing a steady growth in popularity since 1992. As gambling in Albania is a thriving business, it is in the focal point of inspections; during the two year operation “End of insanity” 1500 illegal gambling facilities were shut down. * Consequently, it is most advisable to stick to legally operating gambling facilities in Albania. Albanians spend over €700 million a year online placing bets on foreign gambling websites, which is quite a lot for one of the poorest countries in Europe. The Albanian government seeks to remedy the situation by blocking foreign gambling websites – without much success, as of yet. 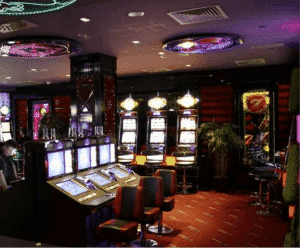 Casino gambling, including online casino gambling and electronic casino gambling is permitted in Albania, provided the gambling facility has applied for, and received, a gambling license. The online gambling licensing system is still in development and not yet enforced. Albania has several brick and mortar casinos, although most of these are electronic casinos that offer slot machines only. 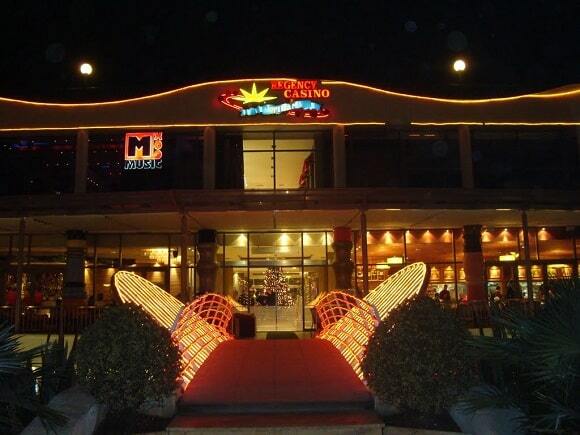 Albania’s largest and most popular land-based casino is the Regency Casino in Tirana, which opened its gates in 2005. The casino features 240 gaming machines as well as 21 tables of various games, including poker. The Albanian government seeks to stop the outflow of money from the country by disabling the access to unlicensed, foreign online casinos, with some betting sites already temporarily blocked (this is characteristic of Eastern European countries). Still, Albanians have access to several online casino websites, although practically none of them are available in Albanian. At the moment, there are no online casinos based in Albania, as the country and expected profit is not lucrative enough for online casino operators, and no licenses have been given out for online casino operators from within Albania. More info about casino and online casinos in Albania. Bingo is quite popular in Albania, with four licensed Bingo operators providing services within the country. Albanians may partake in the game in bingo-halls or TeleBingo, i. e. television-based Bingo. While none of the licensed Albanian Bingo operators provide online Bingo, players from Albania are free to access foreign Bingo websites should they wish to play online. In Albania Poker hasn’t been the most popular of pastimes, although its popularity does show a steady rise in the past decade, with a heavy emphasis on online Poker. Legal land-based poker games are available in the Regency Casino Tirana. Albanian Prime Minister Edi Rama has been waging a war against illicit gambling and the outflow of wealth from an already impoverished Albania. As such, he sought to block several unlicensed online poker sites, but none of this seems to have come into effect thus far. Sports betting, especially on football matches, is quite popular in Albania. There are licensed Albanian bookmakers, the first and largest of which is Xhoilloto. In 2013 Xhoilloto signed an exclusive deal with SBTech, who have since provided the software for Xhoilloto’s online sports betting platform. Xhoilloto stands to gain quite a bit from the planned ban of foreign online sports betting websites. However, as with online poker and online casino gambling, an effective prohibition of foreign gambling sites in Albania does not seem likely in the near future. At the moment, players from Albania can freely and legally access international online sports betting websites. Illegal under the communist regime, since 1991 lottery has gained quite a bit of following in Albania. The Albanian national lottery is run by the company Austrian Lotteries, and offers scratch cards as well as games like Lotto 6/39 and Keno. The national lottery, Lotaria Kombetare does not offer any online lottery games at the moment, nor are there other Albanian online lottery websites. However, foreign online lotteries are still available for Albanians, which doesn’t seem to have changed dramatically since the 2013 announcement of the ban on foreign online gambling and lottery websites. As a matter of fact, foreign online lotteries (especially the Eurojackpot, Euromillions) offer much better prizes, jackpots and higher odds of winning. As BitCoin is not exactly well-known in Albania yet, there are no specific regulations regarding BitCoin gambling in Albania. There are also no Albanian gambling websites, which would accept BitCoin. For this very reason, the Albanian Government hasn’t gotten around to blocking BitCoin gambling websites, meaning that Albanian players may partake in foreign BitCoin gambling. Should BitCoin gambling gain in popularity, the attention of authorities might turn towards it. However, even popular online gambling websites such as online poker or online casinos haven’t been blocked yet. Therefore Albanian BitCoin gamblers have nothing to fear in the near future. All forms of gambling in Albania are legal, but strictly regulated. Gambling and online gambling operators need to obtain a license. To stop the outflow of money from the country, the government seeks to ban access to unlicensed foreign gambling sites.